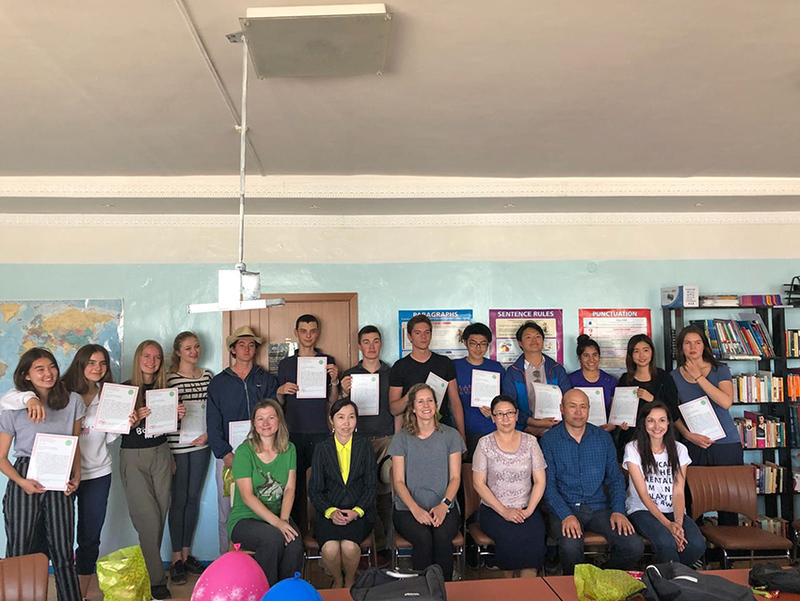 Understanding Ulgii (Teaching in Mongolia) is an Opsahl Global Service Program group dedicated to supporting and building a lasting relationship between TASIS students and a community of English language learners in Ulgii, a city in western Mongolia. TASIS students plan and teach lessons to school-age students during the first 10 days of their summer holiday. Fundraising covers the cost of school supplies, including books, posters, and new desks. Additional side projects have included environmental initiatives, such as researching and teaching about various methods of waste management on small and large scales. 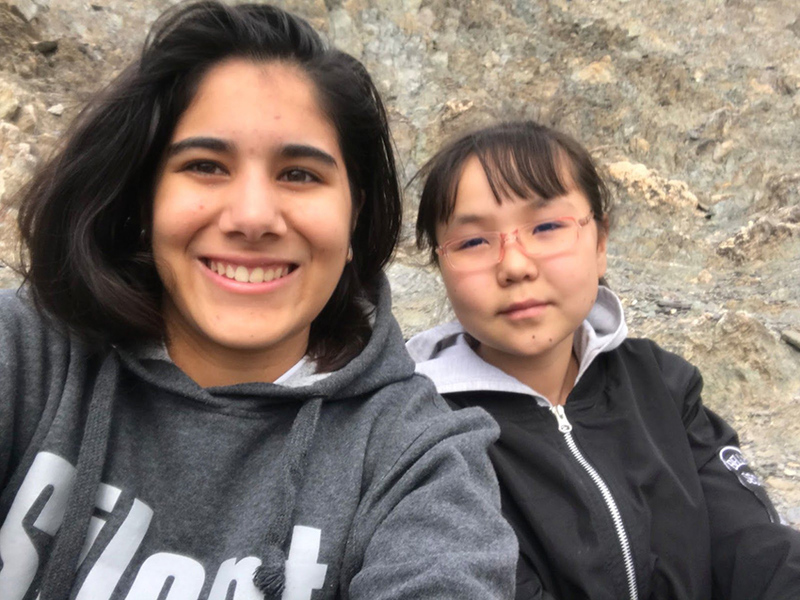 Maria Veronica Ramos ’19 traveled to Ulgii this June and reflects on the journey in the recap below. Before arriving at TASIS, if you were to ask me what and where Mongolia is, I would've given you a strange look. However, a span of ten days allowed for a plethora of opportunities to arise and an introduction to a culture far different than mine. Ranging from engaging with the Ulgii people to aiding countryside farmers with their day-to-day chores, Understanding Ulgii inspired me to understand myself better. Our journey began by departing Malpensa en route to Moscow Airport. It was my first time landing in Moscow, and I was excited for the trip to start. The traveling was exhausting to say the least. Everybody was acting very cranky and sluggish due to the first flight lasting three hours and our second taking around six hours. We landed in Ulaanbaatar—we'd learn later from our friends they call Ulaanbaatar UB—around six in the morning. Still very sluggish, most us enjoyed the airport cafe’s Wi-Fi while we waited for our final flight to Ulgii. Once on the final flight, I distinctly remember a little Mongolian girl running across the aisle waking each of us up at least once. When she finally woke me up, I didn't have the heart to rudely dismiss her. She was extremely happy and spoke very good English to us. Unfortunately, none of us was in the mood to engage with the little girl. After landing, we were greeted by our Mongolian friends who have served as our Ulgii connection the past three years: Nurgul and Tana. The next day we headed to the university, where our teaching week began. Alongside my peers, I taught English to the intermediate group. Our first teaching day was improvised yet successful. The kids, whose ages ranged from 10 to 12, were incredibly sweet and hilarious to teach. For the rest of the week, we got into the routine of teaching. We had morning classes from 10:00 till 11:00 and then again from 11:00 till noon. Our classes consisted of vocabulary games, speaking activities with dice, and skits to improving speaking skills. With my group, they were great with vocabulary and writing but were shy when it came to speaking English. We were kids with different backgrounds but with the same dreams, aspirations, interests, and stories to tell. I don't think I've ever been a huge fan of tea until I went to Uglii, where we drank tea for every meal. Nonetheless, it was always delicious and free to become a tea lover. Our last couple of days in Ulgii were spent in the countryside. We traveled to the desert by old Soviet vans to a spot where our Gers (or Yurts) were already built. Mongolian Gers differ from Kazakh Gers by size, with Mongolia’s said to be smaller than their Kazakh counterparts. We had three different Gers set up as we ventured off to chase animals or hang out playing songs. I preferred to do the latter. Although we only stayed for a day in the countryside, we helped farmers with their everyday activities, such as cleaning the animals’ shed and retrieving water from their well. 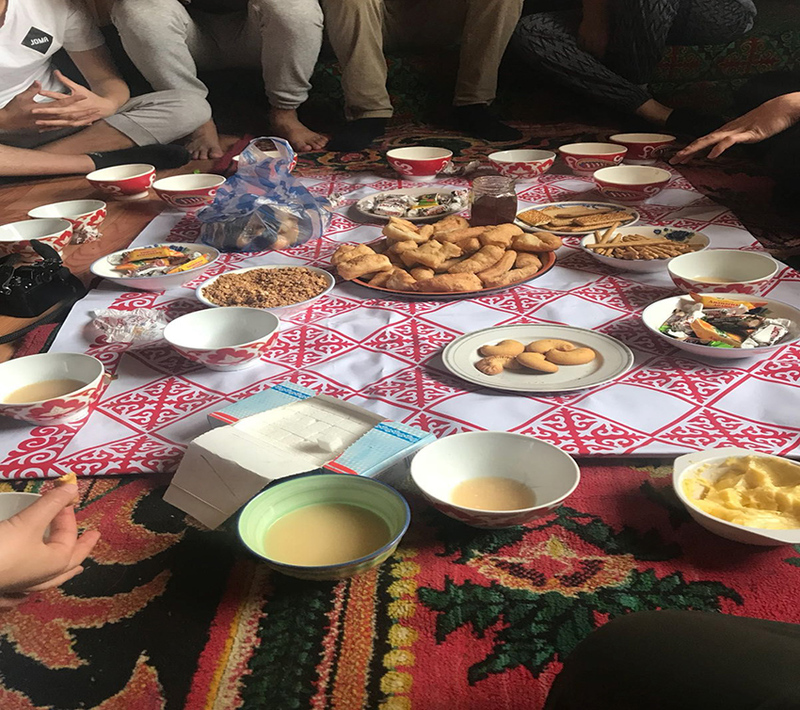 After our group helped out, one of the families invited us for tea: my favorite! We discussed the farmer’s life with him, and he told us he wakes up at six o’clock to begin working till 11:00 PM. His routine never changes. See more photographs from this year’s Mongolia trip on the TASIS SmugMug page. Our time spent in Mongolia was truly amazing and allowed us to connect with another culture I never knew I'd have the chance to experience. Our special friendships with our students and teachers allowed for a deeper level of understanding. We were kids with different backgrounds but with the same dreams, aspirations, interests, and stories to tell. Hanging out with them and seeing Mongolia through their eyes allowed us to see clearly. Our group was very sad to leave, yet we took with us all the memories and shared experiences. 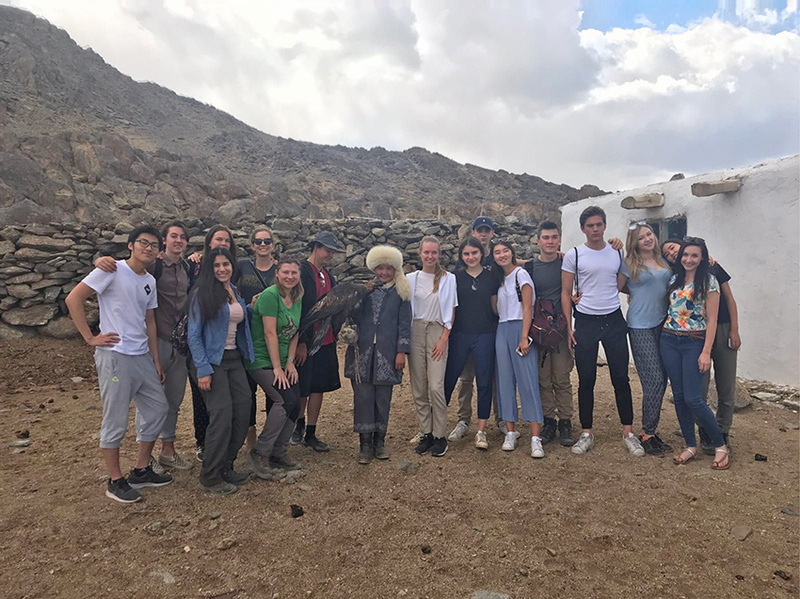 Despite being one of the newer Global Service Program trips, Understanding Ulgii proved to be powerful and enlightening.